The loop over Welch and Dickey Mountains is one of my favorite hikes, and is great for days when I want something quick and rewarding. 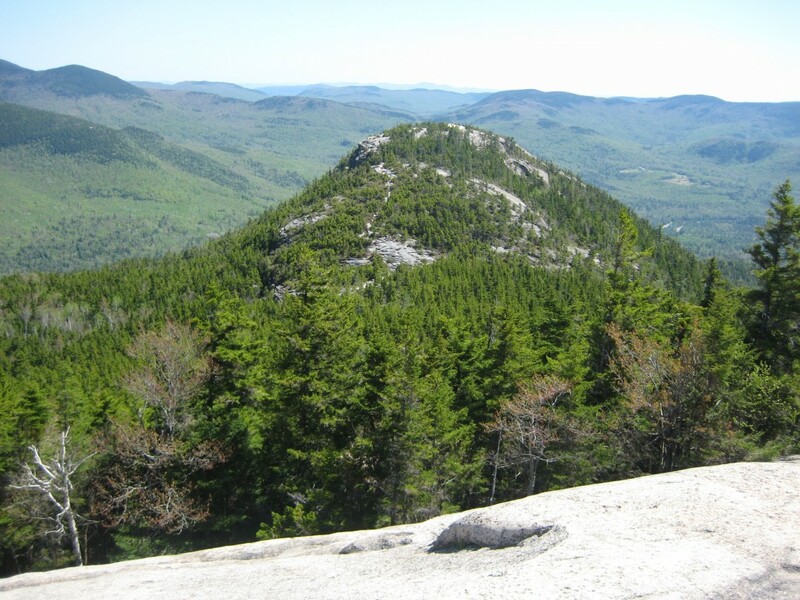 It offers outstanding views of the surrounding mountain ranges, exposed summits, and many open ledges and rock outcrops along the trail. The entire loop is only 4.5 miles, with an elevation gain of about 1650 feet. Getting there: From the Notch Hostel, take Rt. 93 south about ten minutes to Exit 28 for Campton. 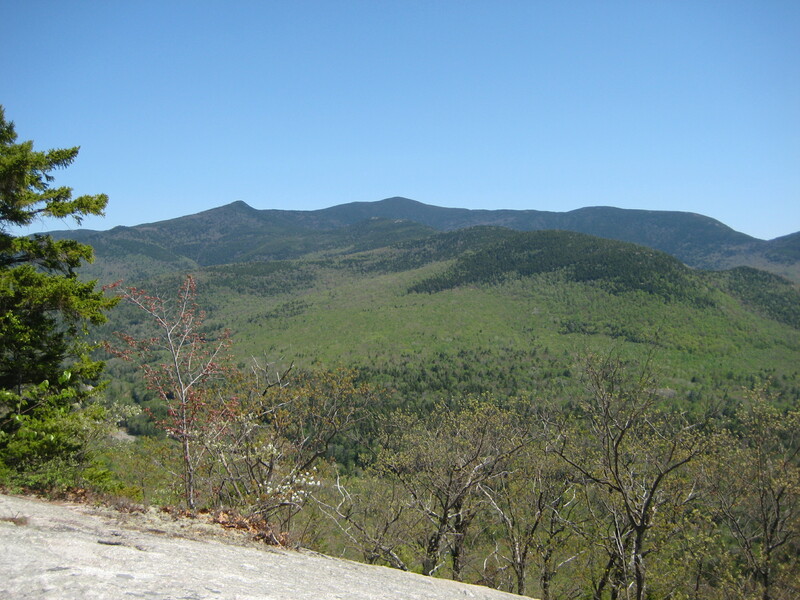 Take NH-49 E to Upper Mad River Rd, turn R on Orris Rd, drive ’til you see the trailhead parking lot. Rt. 49 parallels the Mad River, which flows through Waterville Valley. 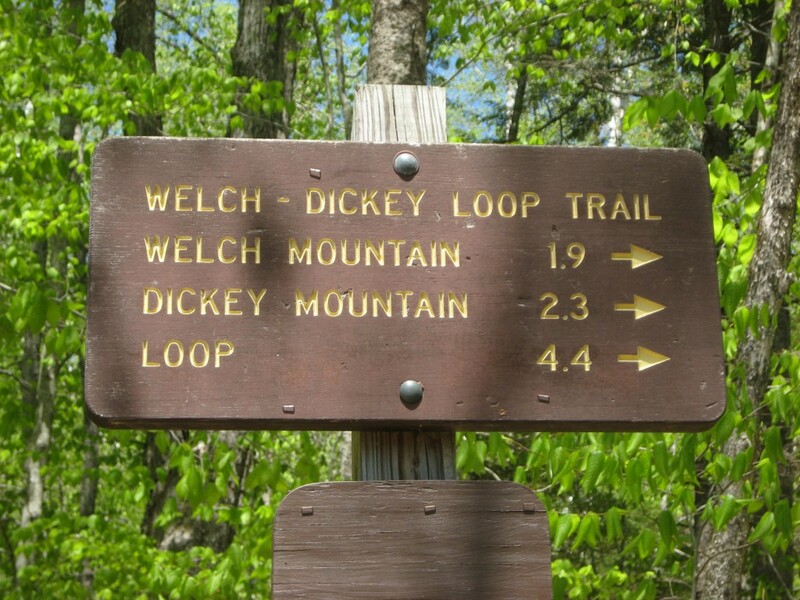 Welch-Dickey Loop Trail sign at the parking lot. Most people go over Welch first. 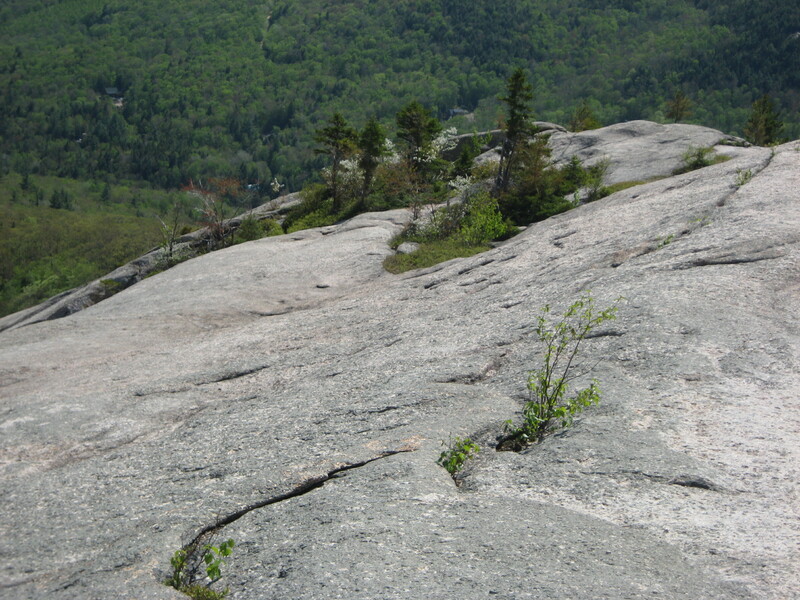 It’s more fun to go up the smooth ledges than down them. 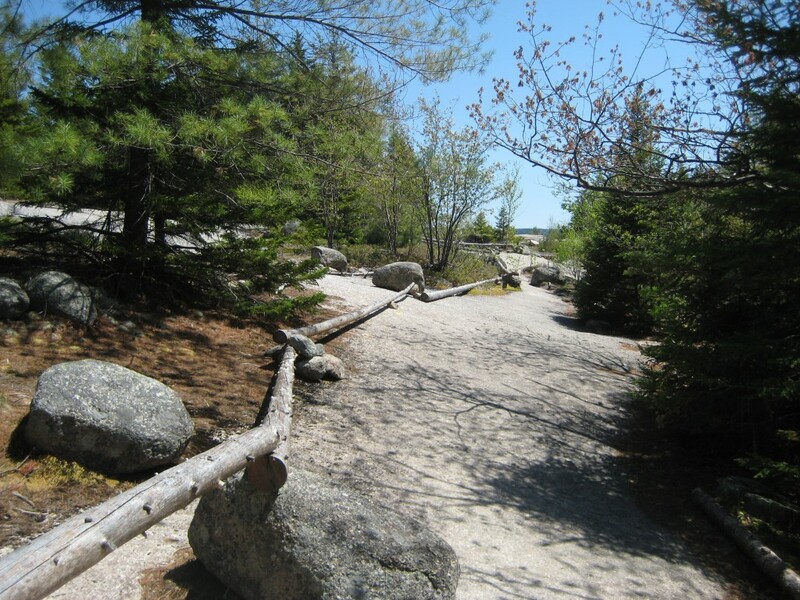 Welch Mountain Trail is easy and well-maintained. 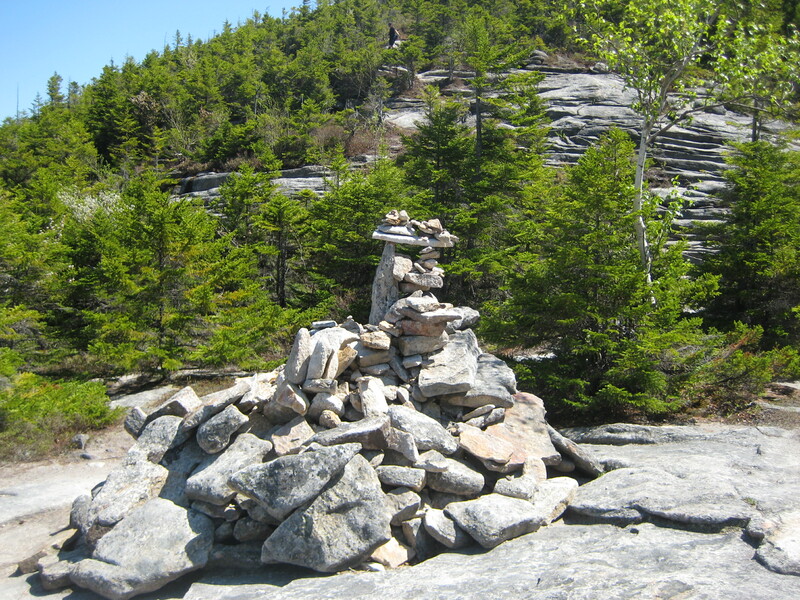 You emerge from the woods here and get to enjoy a beautiful walk along Welch’s ledges. 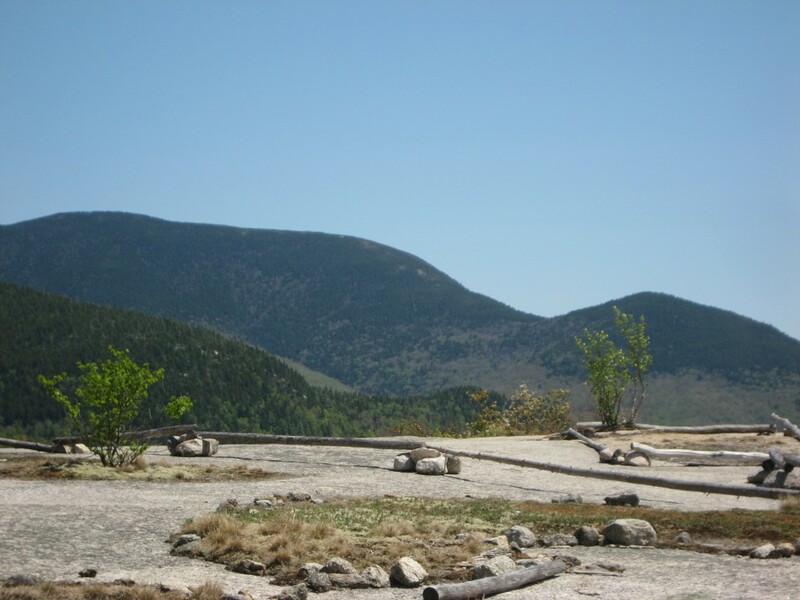 Islands of unique soil and plants appear all along the bare rock. These outcrop islands contain fragile and rare species that can take up to 400 years to develop. A good place to have a snack and get a tan. 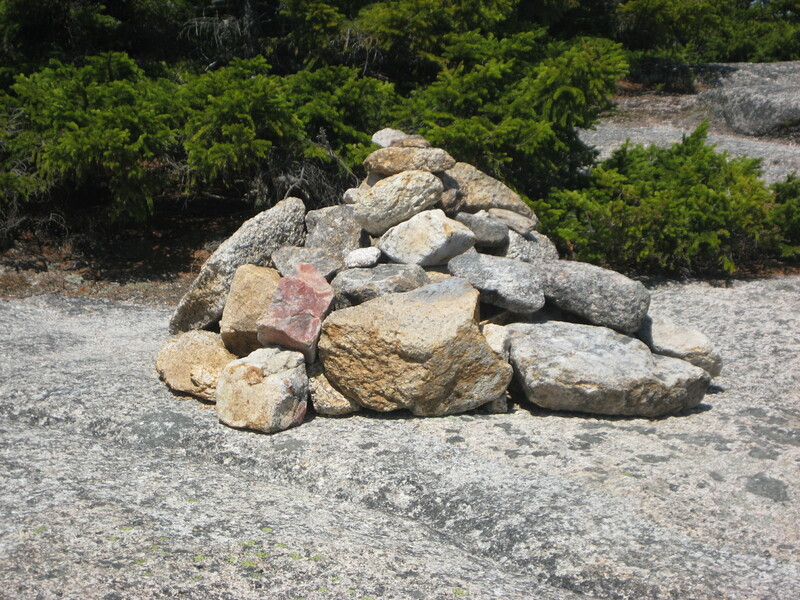 Several people were lying out on the bare rock here basking in the sunlight. 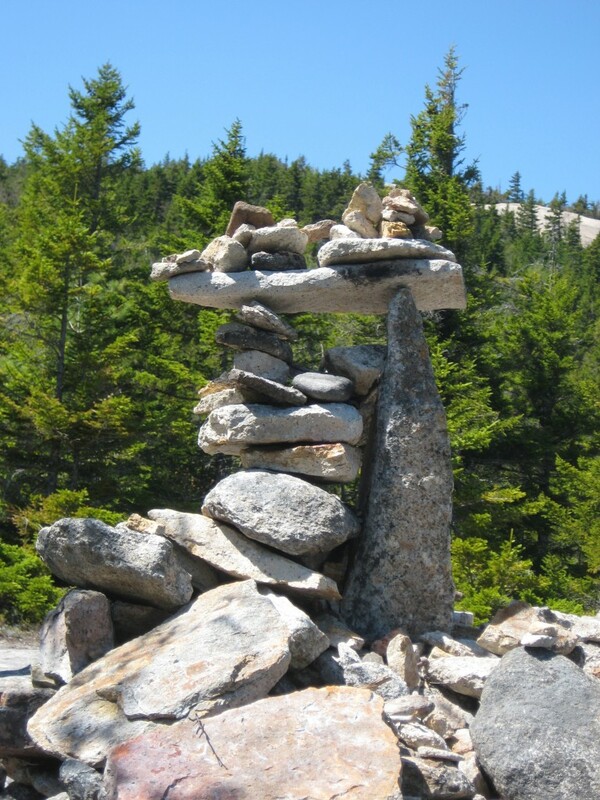 Someone had fun building this. 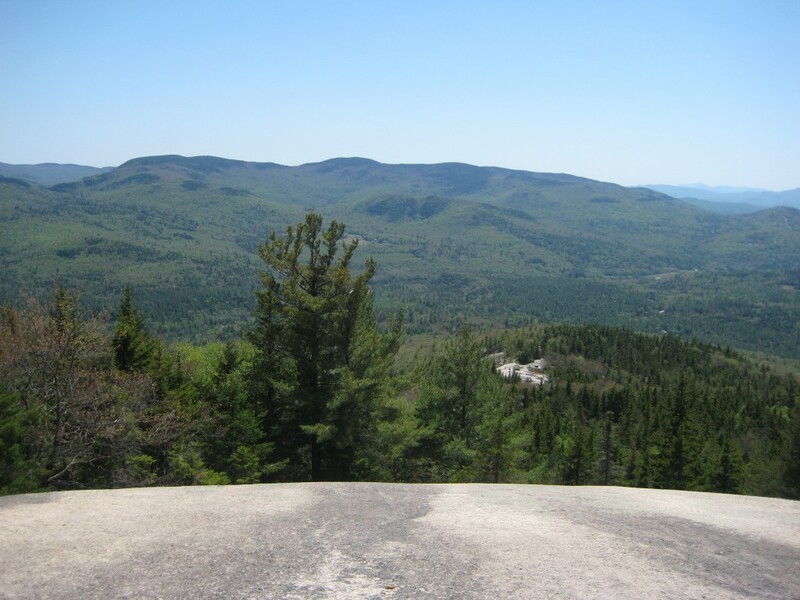 Looking back on Welch’s rocky summit from Dickey. 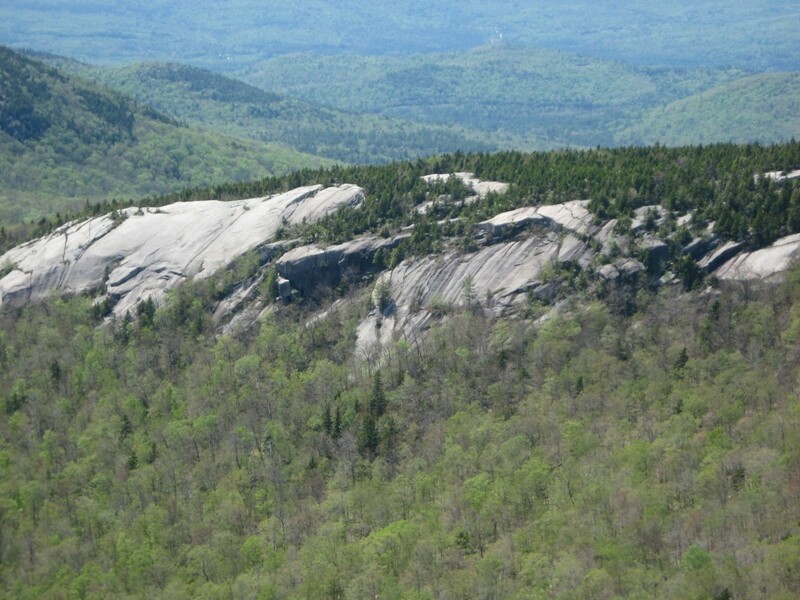 Dickey Cliffs. People sometimes ski down the side of Dickey in the winter. Ledges along the descent from Dickey’s summit back toward the parking lot. Next time I’m bringing my folding chair and a book. 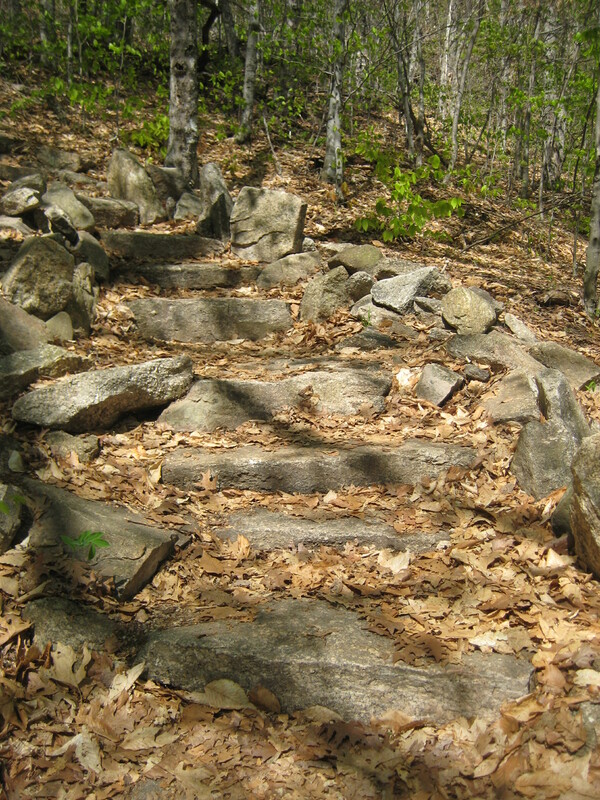 Nicely-laid steps on the way down Dickey Mountain Trail. 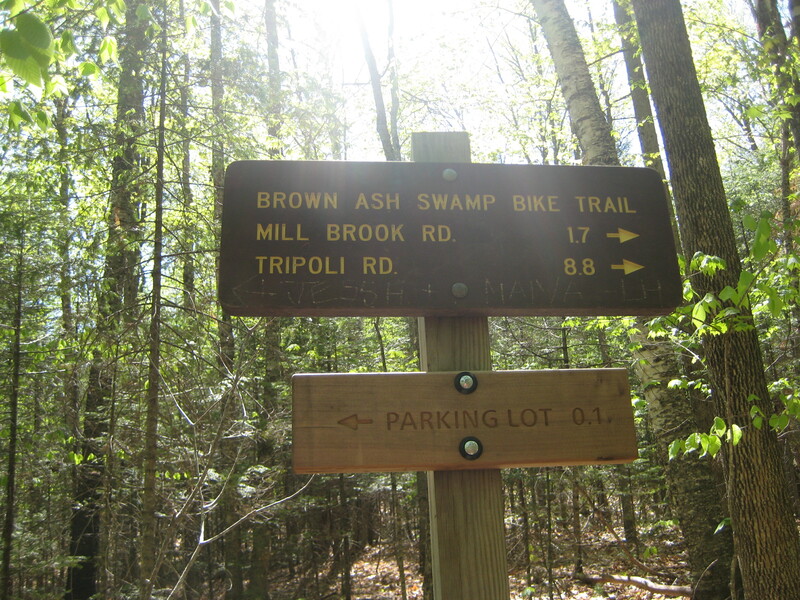 The trail meets the Brown Ash Swamp Bike Trail just before the parking lot. This mountain bike trail goes all the way to Tripoli Road, although I’ve heard that it is not well-maintained. 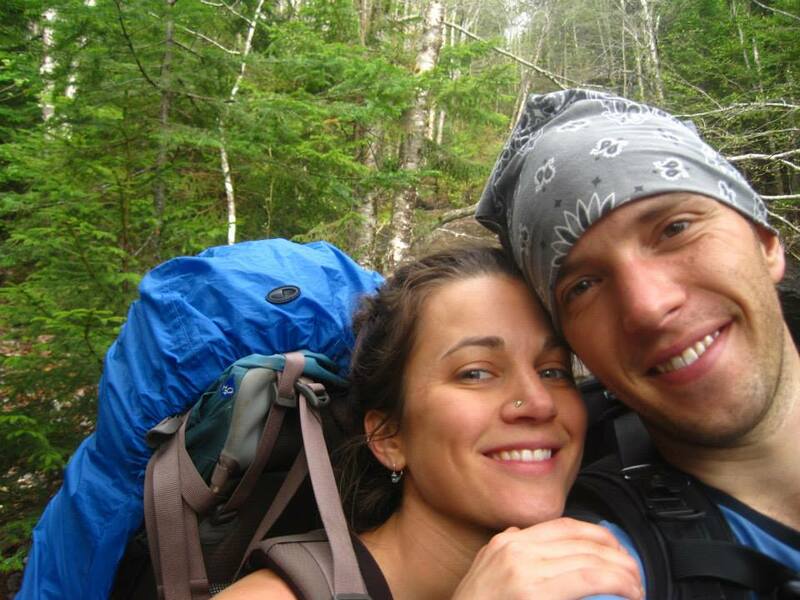 Looking forward to returning to this hike again soon. 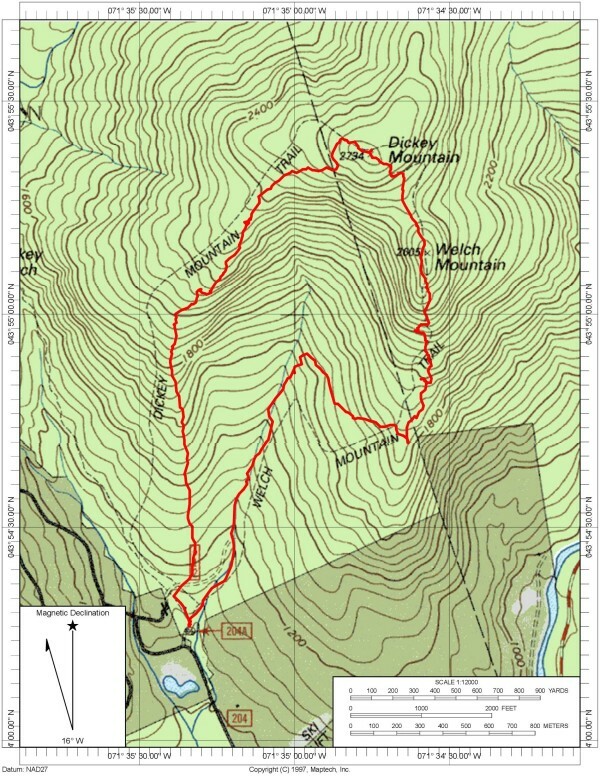 The Welch-Dickey loop also makes for a great night hike during the full moon. South approach to Kinsman Mtn South is VERY steep (and almost always wet); so, make plans to allow extra time for transit through that area (approximately 1.5 miles+). Muddy and sloppy trails are the norm; so, be prepared to trek on through, rather than widen the trail. 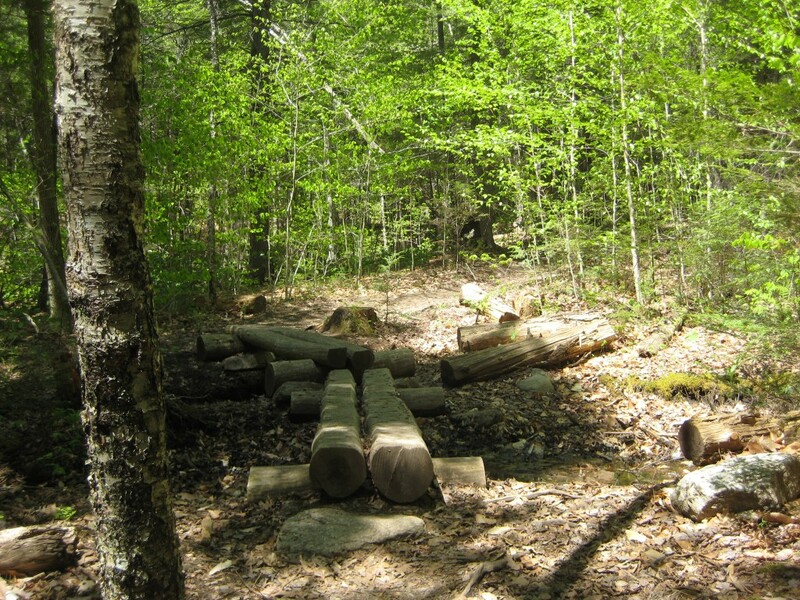 Also, there is a bridge out just beyond Lonesome Lake Hut (for Cascade Brook). A ford is necessary; however, if it is running high, a ford can become dangerous. Plan accordingly.